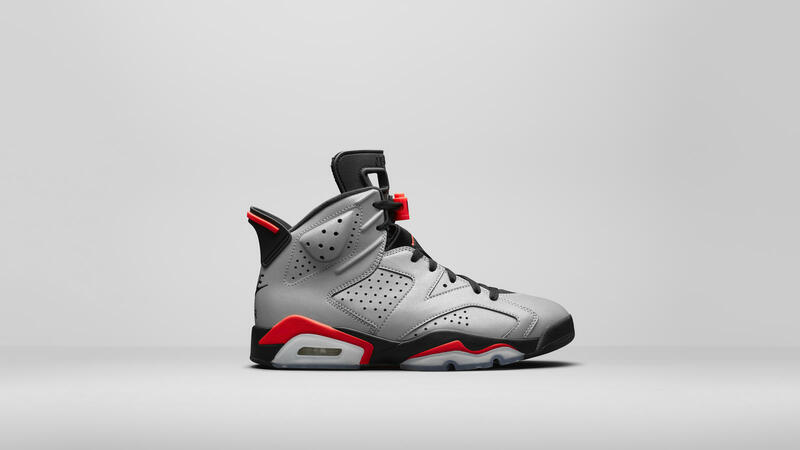 The shoe is essentially a Black Infrared 6. But instead of the normal Black nubuck uppers, we get a 3M reflective upper. It will still include the Black and Infrared accents, AND Nike Air on the heel.black outsole.